In a collaboration mentioned some time ago, the A.P.C. x Supreme collection will hit stores early next month. The capsule consists of two different pieces, a pair of denim and a graphic t-shirt. The denim takes cues from A.P.C.’s iconic New Standard with additional back-pocket emroidery and a pin. The t-shirt comes in two variations, a red one for Supreme stores and a black one for A.P.C. stores. The collection goes on sale in the US both online and in-store on October 1st, 2009 while Japan will see the release two days later on October 3rd. For fall 2009 A.P.C. 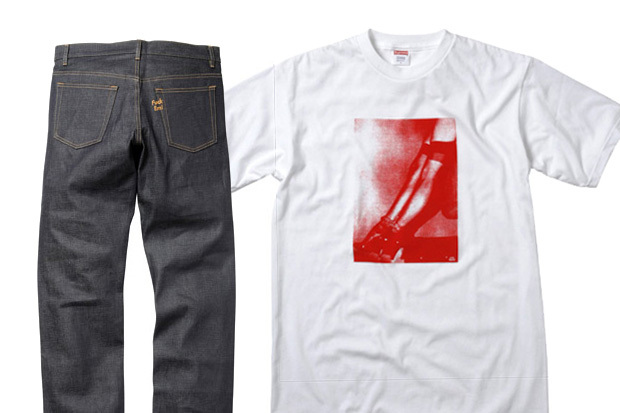 and Supreme will present a two piece capsule of a denim jean and graphic t-shirt. 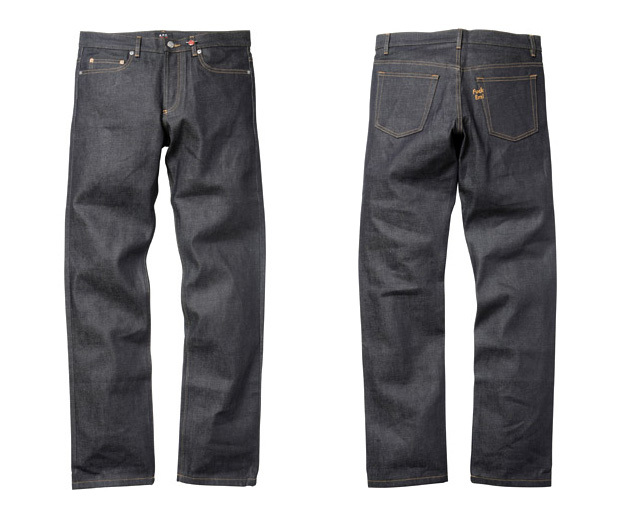 The jean, a specially designed version of A.P.C.’s classic New Standard style, will feature a back pocket embroidery and a removable pin. The tee will come in two colors; red (available exclusively at Supreme stores) and black (available exclusively at A.P.C. Stores). The Wu-Tang Clan x Dekline "Killerbee"